As the Trails and Conservation Intern for the Delaware & Lehigh National Historic Corridor, I was excited for the opportunity to attend the Lehigh Valley Greenways (LVG) Partnership meeting on riparian buffers and restoration, taking place on September 14, 2017. This meeting was a great introduction to the collaborative nature of conservation in the Lehigh Valley and a real life example of the ways in which programs like LVG mini-grants can be realized. 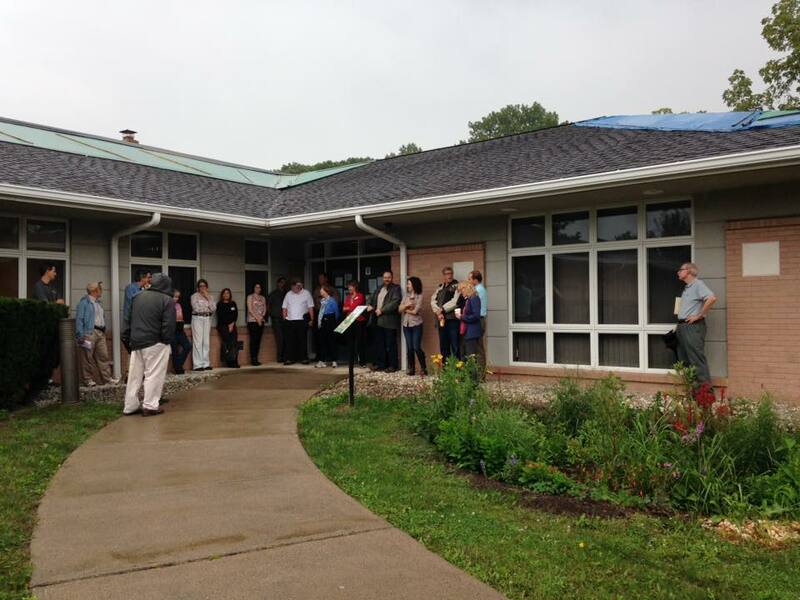 The Partnership Meeting took place at the Plainfield Township Municipal Building, and began with a discussion of the newly installed rain garden on the property, funded as part of a LVG mini-grant received in 2016 by the Watershed Coalition of the Lehigh Valley. This project was completed by Master Watershed Steward volunteers, working alongside Plainfield Township Public Works, and included educational signs to inform the public visiting the Township Building. As part of my internship with the D&L, I have been working extensively on the LVG mini-grant Success Stories, summarizing the ways in which these small grants have helped achieve the conservation goals of LVG all across the region. Seeing one of these Success Stories in reality served to drive home to me the important work that is being done by LVG Partners to not only improve the state of conservation in this region, but also the active work being done to improve education about little known strategies such as rain gardens and riparian buffers that could monumentally improve the quality of waterways in the Lehigh Valley. This meeting focused on riparian buffer and restoration work around the region, with a spotlight on various field leaders such as the Watershed Coalition, Wildlands Conservancy, Northampton and Lehigh Counties, and PA Department of Conservation and Natural Resources (DCNR). The most illuminating part of this meeting was observing the ways various partners collaborate on strategies for improving conservation in the Lehigh Valley. Following the presentations on buffer projects, there was a spirited discussion about the best ways to move forward with improving the implementation of riparian buffers. From ideas about golf course integration to multi-use buffer projects, perspectives and ideas from throughout the LVG consortium were brought to the table. As someone who has worked within a few separate conservation entities, it was encouraging and informative to see the way that the Lehigh Valley Greenways conservation partners come together to solve the problems of the region, increase awareness of solutions, and use their collective experience to inform pathways to action. As the Plainfield Township rain garden shows, collaborative action can be utilized to create on the ground benefits and education opportunities for the public, advancing the four LVG goals of land conservation, outdoor recreation, community revitalization, and local education and outreach. Meetings between the partners serve as chances to benefit from the differing perspectives and experiences of groups across the region, joining together to create the most effective conservation plan possible. 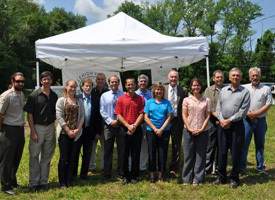 For more information about the Plainfield Township rain garden Success Story, click here. 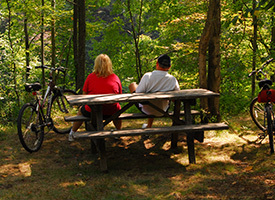 To learn more and get updates from Lehigh Valley Greenways, follow our Facebook page.